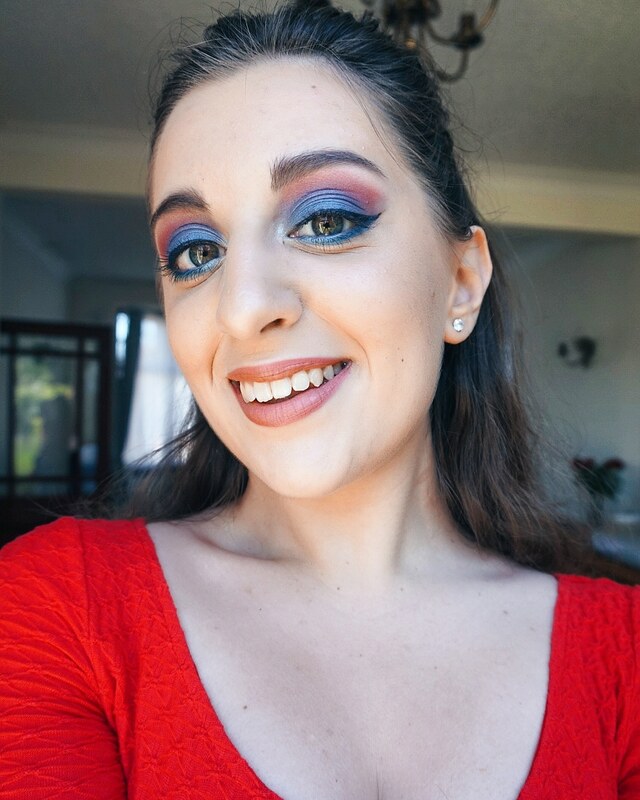 The Fourth of July is fast approaching and I wanted to offer you a way that you can bring your patriotism to your eye makeup just as much as you'll be bringing it out in your outfit and those decorations that you'll be putting up! I must admit that I was having a little bit of a struggle trying to come up with ideas for a new Independence Day look that was different from my last one. I am so thankful for Pinterest because, without it, I wouldn't have found this picture from Kelli Marissa and managed to recreate it, only with a couple of minor changes. I absolutely love how it turned out! 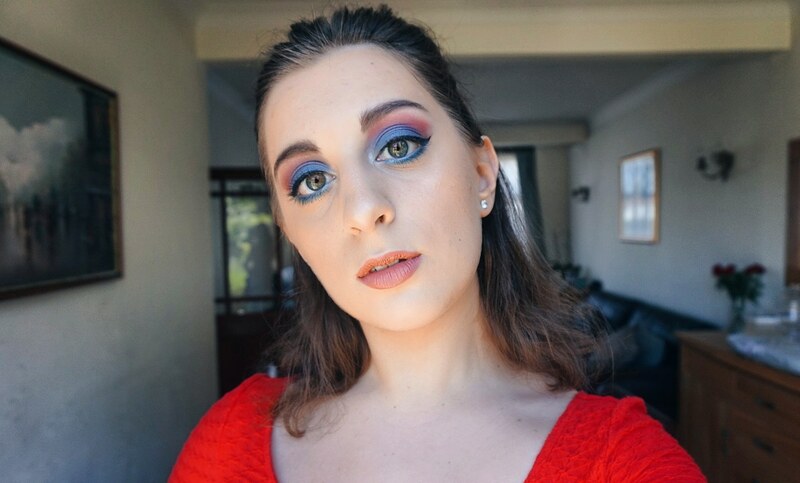 I felt like an American rockstar with my half-up/half-down hairstyle and this bold eye look that enabled me to smoulder to my heart's content, clearly Vogue needs to hire me now! 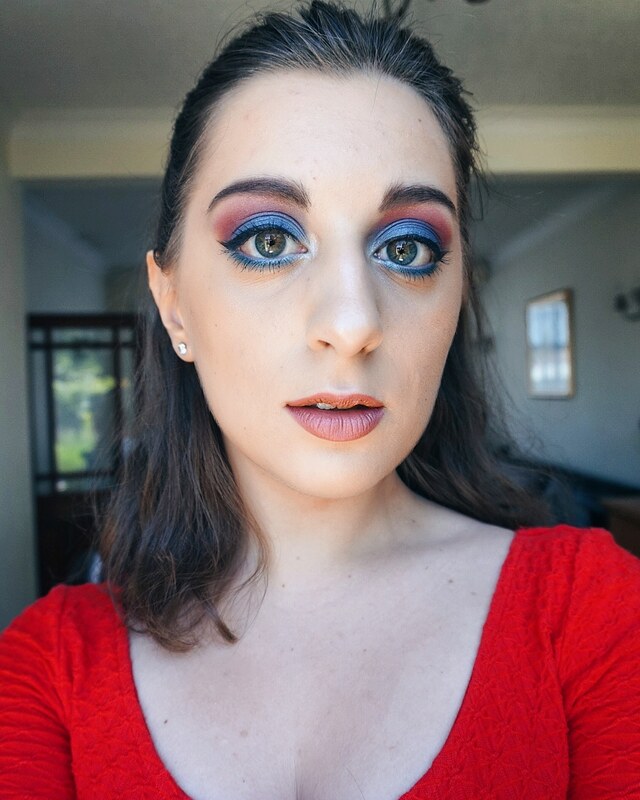 Personally, the most important thing, when recreating this look for 4th July, was to incorporate the red, blue and white of the American flag into one area of my face - I chose my eyes. 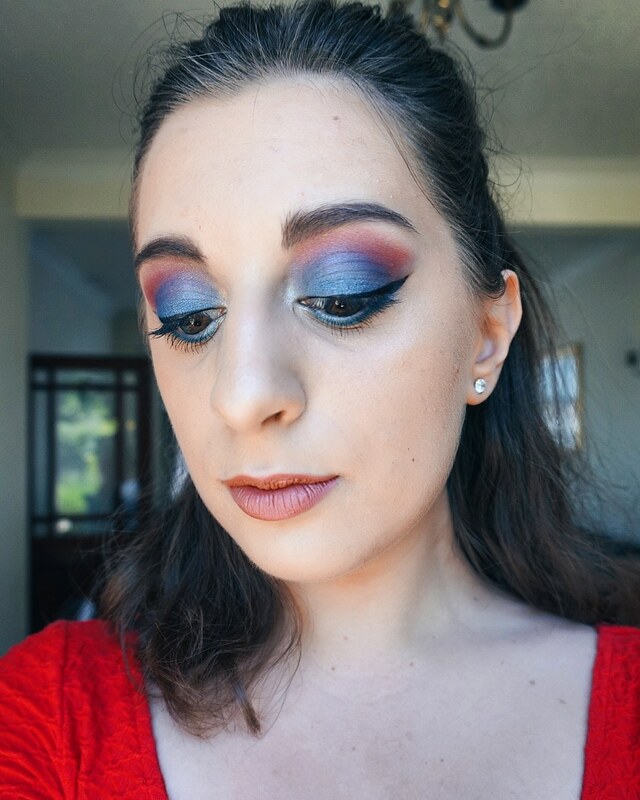 The look created by Kelli ensured that the blue colour took pride of place on the lid and the fiery red shone out from the crease with a hint of purple eyeshadow to allow the colours to blend together more seamlessly. 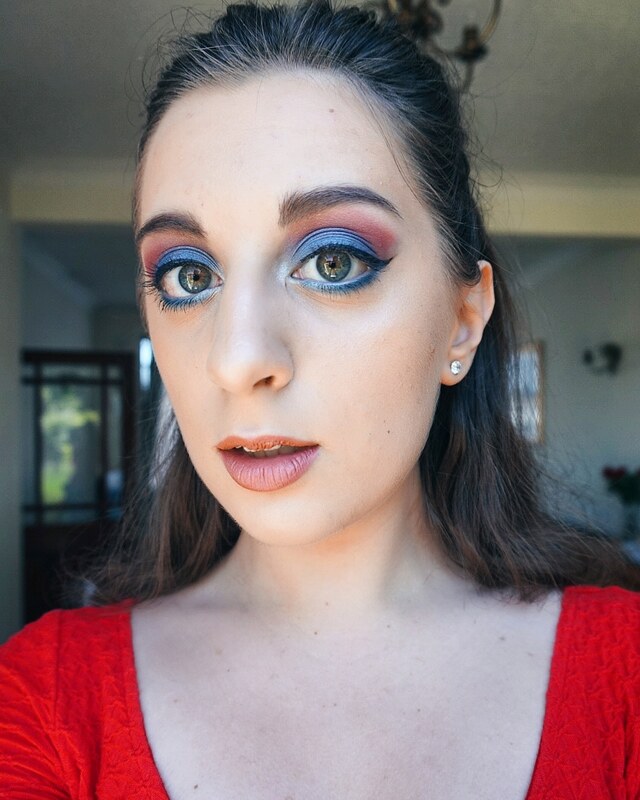 In terms of incorporating the last key colour, however, I chose to use a whiter highlighter to mimic the white colour in the American flag and low and behold the 4th July look was reborn! Be sure to let me know in the comment section down below what you think of this look! Are you brave enough to try it out? If you do then tag Kelli (Instagram: @kellimarissa) and I (Instagram: @notvicarious) in your recreations as it would be awesome to see the recreation of a recreation to Kelli's original look - that made sense right?! I hope it did! EYES: BH Cosmetics First Edition 120 Colour Eyeshadow Palette // e.l.f. Intense Ink Eyeliner in Blackest Black // Benefit Roller Lash Mascara in Black. CHEEKS: MAC Cosmetics Mineralise Skinfinish Natural in Medium Dark // MAC Cosmetics Powder Blush in Melba // Makeup Revolution Ultra Sculpt & Contour Kit in Ultra Light/Medium (Highlight Shade). LIPS: Rimmel London Exaggerate Automatic Lip Liner in Addiction // MAC Cosmetics Matte Lipstick in Velvet Teddy.